Jyme has worked in a variety of customer service jobs throughout her career. 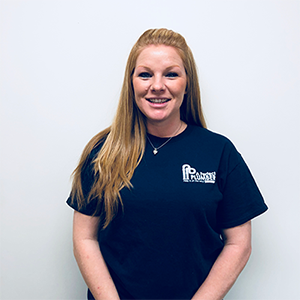 She has been A Perfect Plumber’s office manager for over three years and loves interacting with the crew and customers. One of Jyme’s favorite tasks, believe it or not, is managing spreadsheets. When she’s not managing the office, she is busy managing her family and Scentsy business or working in her church’s youth group. Did You Know... Jyme is an animal lover and has 4 chickens, 1 rooster, 3 dogs and 2 cats!